Nevada is the largest of seven states that does not have a school for the blind. 75%-90% of classroom learning is reliant on vision. For most children, the concept of "learning to read, then reading to learn" holds true. But for children who are visually impaired or blind, there is one more step before any of this is possible and that is to learn to use their visual acuity and/or adaptive technology to provide them the opportunity to learn. With 40-70% of children with visual impairments or blindness also having additional physical and/or intellectual disabilities; early, specialized, education isn't just important - it's imperative! 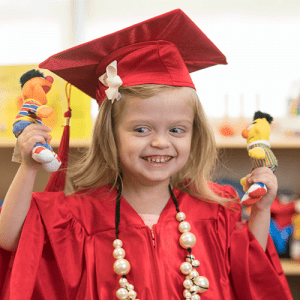 August 2019, NBCF will open a sighted-peer preschool for children ages 6 weeks to 5 years. The preschool will provide low teacher/student ratios with specialized services for blind and visually impaired children and their families. For current programs for these age groups, please check the program section of our website or contact us directly at 702-735-6223.